The City of Brother Love, Philadelphia, is Pennsylvania’s largest city situated just 90 minutes from New York City by train. 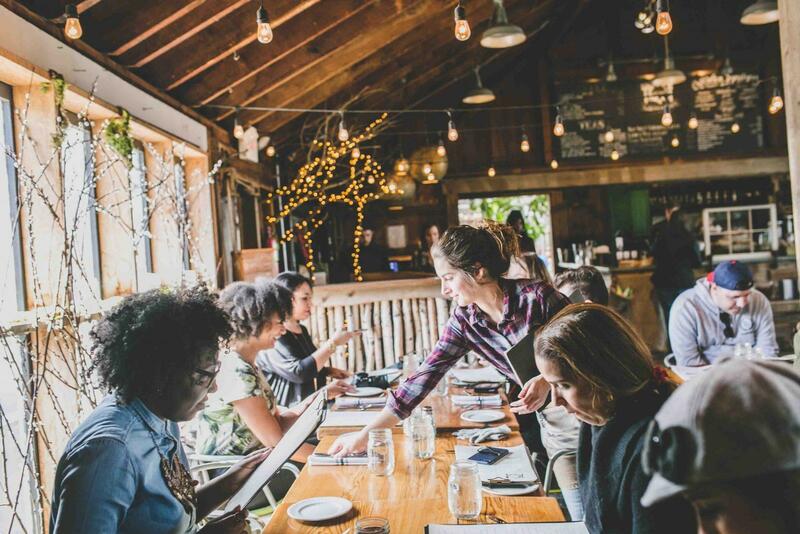 Yet, many traveling through the northeastern United States are often unaware of the myriad of things this underrated and often overlooked city can offer. 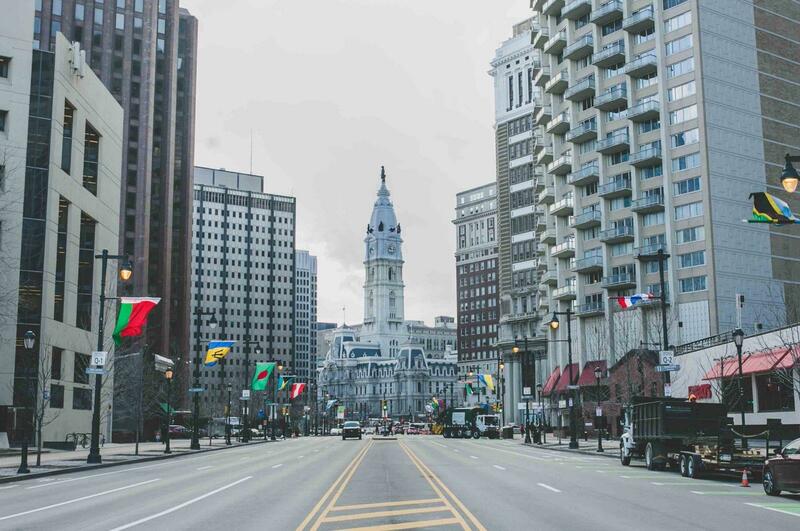 Philadelphia is bustling with significant American history, traditional and modern art, hundreds of hip restaurants, and tax-free shopping; all while being rich and diverse in culture. Philly is also home to some of the top universities in the country which makes it vibrant with intellect and progressiveness. 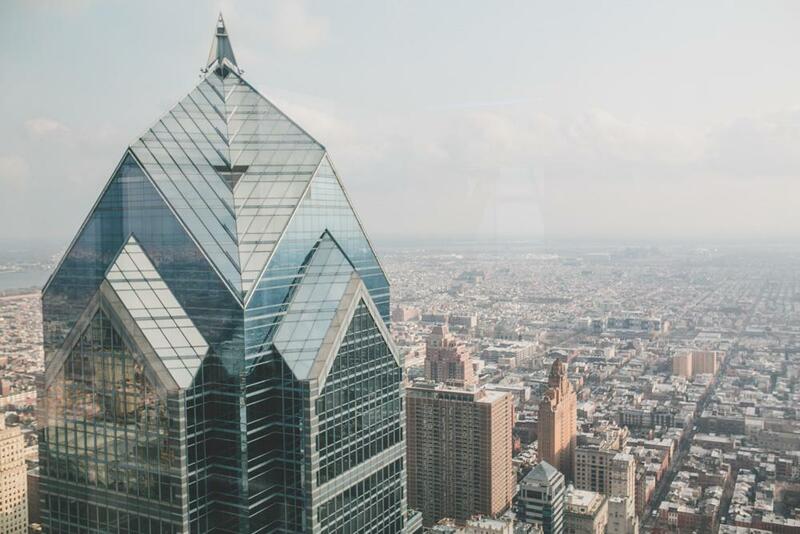 With all of these attractive qualities, Philadelphia makes for a perfect travel destination with tons to offer for weeks. 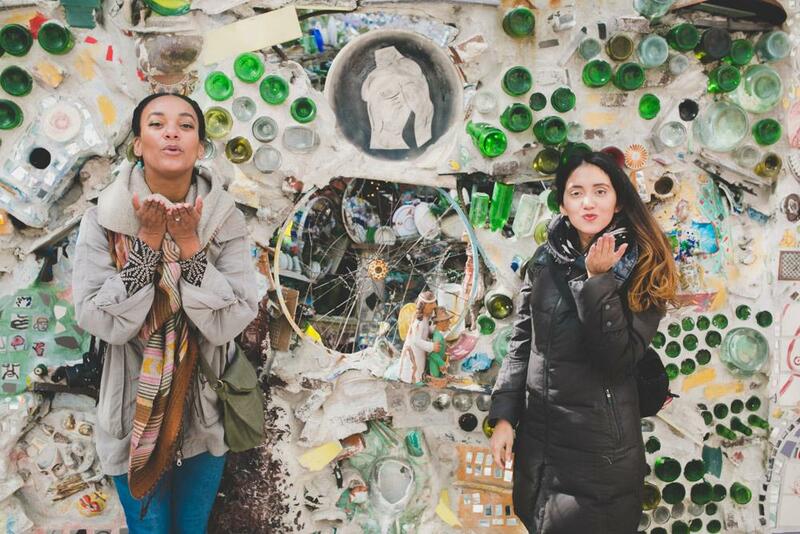 However, if you’re like most northeasterners and can only swing a day trip to Philadelphia then here’s your guide to getting the most out of your day trip! Train: It can take longer to go from Brooklyn to parts of the Bronx than to take a train from Manhattan to Philadelphia! It’s fast, clean, easy and affordable. There are two trains you can take to Philly: Amtrak train which is more direct and takes 90 minutes but costs about $80 round trip. Or you can take NJ transit for about $17 each way but it can take up to three hours and you have to change trains. Bus: You can take can buses such as Megabus or BoltBus to Philadelphia for as little as $5 each way. It takes about two hours to get there by bus. 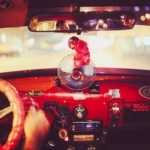 Car: Driving from New York City to Philadelphia takes about 2 hours including traffic. Not bad! Start your day trip to Philly bright and early so you can get the most out of all that the city has to offer. Begin at the John F. Kennedy Plaza to check out the Iconic LOVE Park designed by Robert Indiana. 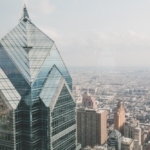 The LOVE Park is the perfect starting point to get beautiful and wide views of the neighborhood and to start your walk down the famous Benjamin Franklin Parkway. 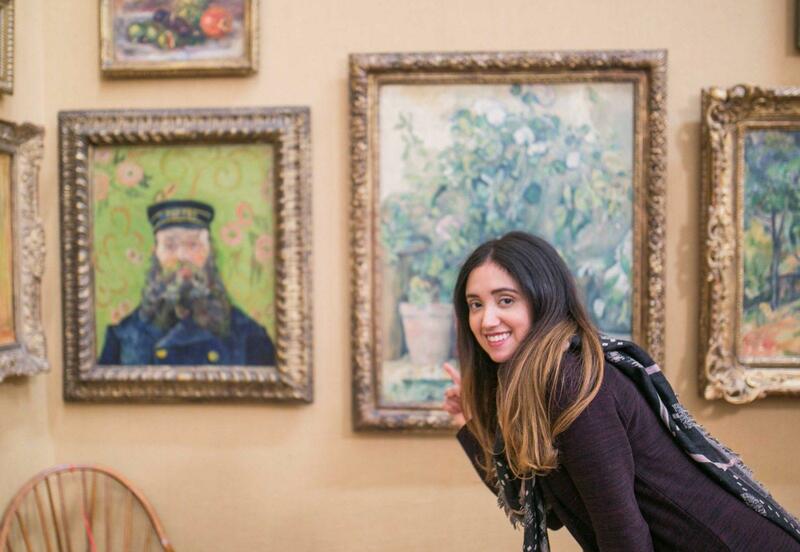 Did you know that Philadelphia is home to the most impressionist paintings in the world, after Paris? 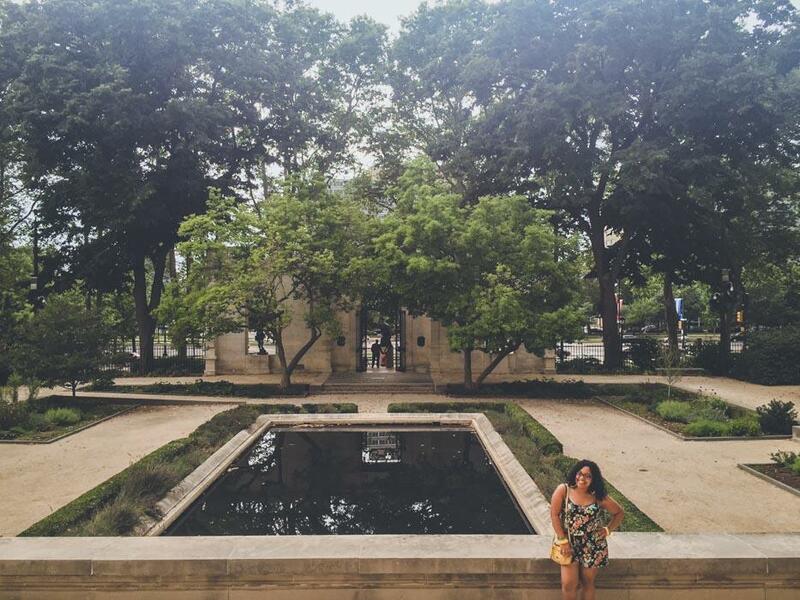 Stop by the Barnes Foundation to view some of the finest impressionist, post-impressionist, and modernist works of art by Cezanne, Renoir, Rousseau, Van Gogh, Matisse, Picasso, Soutine, Degas, and Chirico to name a few! 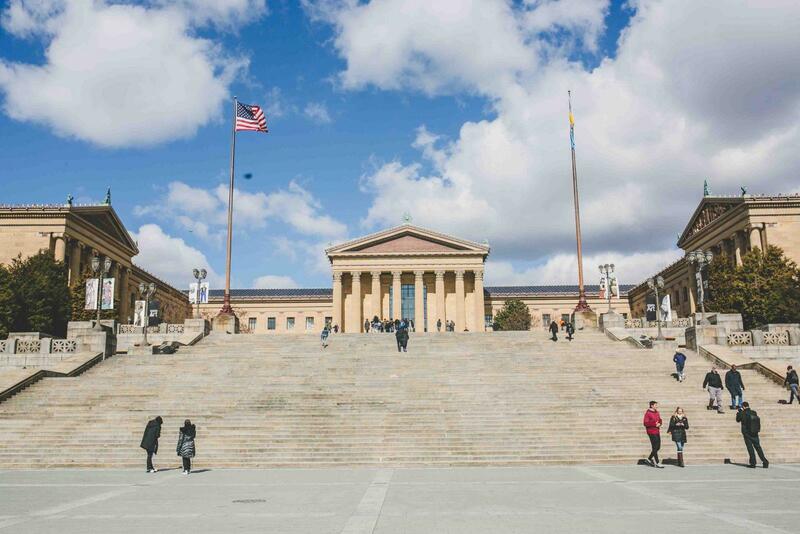 Next stop on the Benjamin Franklin Parkway is the famous Rodin Museum, home to the largest collection of Auguste Rodin’s sculptures outside of Paris. It also houses Rodin’s most famous work: The Thinker! At the end of the Benjamin Franklin Parkway are the Rocky Steps. The sight of these steps became iconic thanks to the famous 1970’s American movie: Rocky. I dare anyone to walk/run up these steps without getting the Rocky Balboa theme song stuck in their head! It’s a very cool experience and you’ll have breathtaking views of the city from the top of the steps. At the top of the Rocky Steps is the Philadelphia Museum of Art. 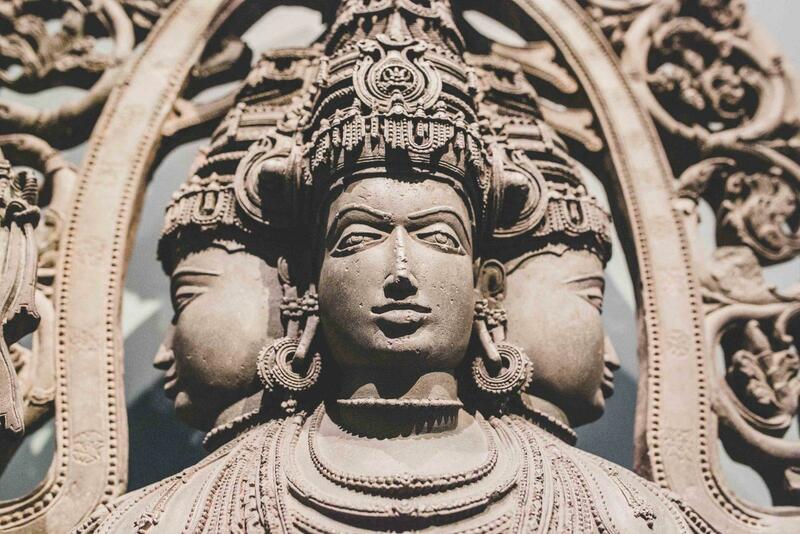 This museum is a traveler’s treat. Each hall took me back in time throughout history and to different parts of the world. They have immerse spaces where you feel like you’re in a Japanese teahouse or in a Chinese temple. Bonus treat: On Friday nights, the Philadelphia Museum of Art stays open after hours for live music, food, and drinks. Catch a glimpse of the iconic Philadelphia City Hall, an architectural delight. This national historic landmark is the largest municipal building in the country. If you visit during the winter time, you can check out the Rothman Ice Rink for a chance to ice skate with the beautiful backdrop of City Hall. Tours are available for City Hall every 15 minutes and/or you can check out their observation deck for 360 panorama views of the city. Walk 15 minutes east to reach Independence National Historical Park where some of the most significant events related to American history took place. 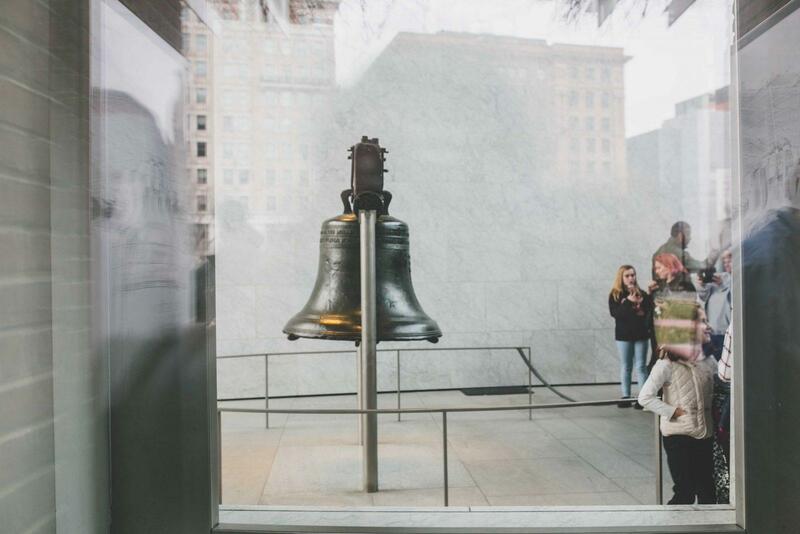 The popular Liberty Bell has a beautiful and comedic story. “Proclaim Liberty throughout all the and unto all the Inhabitants thereof” is the famous inscription on the bell. This proclamation was used by Americans many times throughout history. Most notably by those who opposed slavery. Thus, the Liberty Bell became a key symbol of freedom in the American Civil War. The comedic part is that it’s been dropped/cracked twice! Right when it first arrived in Philly and then it cracked again but no one took the blame. Isn’t that kind of hilarious? Americans have taken this to symbolize resilience even during adversity– that’s beautiful. Across from the Liberty Bell, you can see Independence Hall where the American “Founding Fathers” signed the historic Declaration of Independence and later wrote the United States Constitution (the supreme law of the United States). The historic district is also home to several museums such as the African American Museum, Benjamin Franklin Museum, Museum of the American Revolution, National Constitution Center, Betsy Ross House, and Independence Seaport Museum. Since it was founded in 1681, Philadelphia retains a lot of British colonial architectural charms while sporting the backdrop of a modern American city. 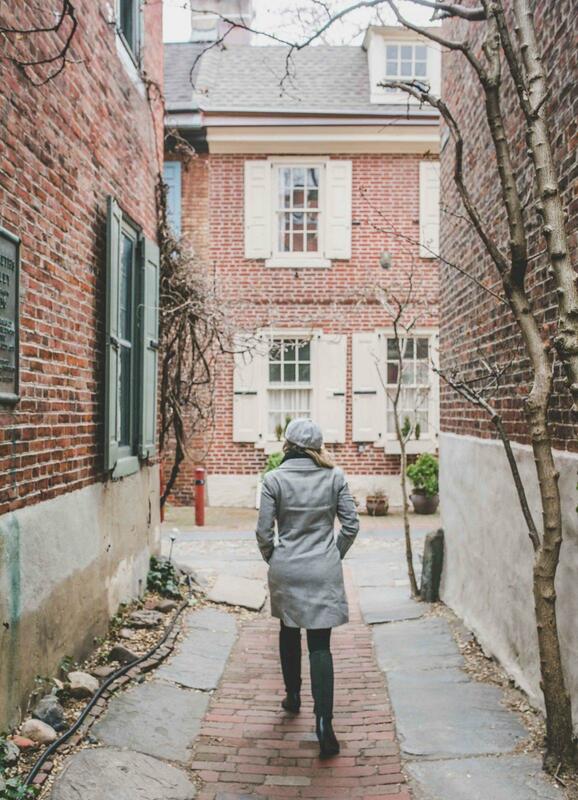 Travel back in time to Elfreth’s Alley, the oldest and continuously inhabited residential street in the country. I recommend a guided tour to better understand the historical snippets that still remain on this quaint street, 300+ years later. Last but definitely not least, is paying a visit to the Philadelphia Magic Gardens. A non-profit organization and gallery space famous for its beautiful outdoor/indoor maze of tile and mosaic art. They close at 6 PM, so be sure to get there at least by 5 PM. Cost of admission is $10. Heritage – For live music over delicious cocktails and food. I strongly recommend the arctic fish and fried chicken. Philadelphia Distillery – A distillery, bar, and restaurant all in one. You can get all sorts of plates here. Everything I tried here was delicious and meticulously crafted. Vista Peru – Lovers of Peruvian food, look no further. These guys have nailed the Peruvian cuisine. But my favorite dish? The lucuma ice cream dessert. Every spoon full took me back to Peru. Harp & Crown – Popular for their pizza pies and craft cocktails. Beautiful ambiance to share several small plates or a pizza with a big group of friends. Brauhauss Schmitz – For a cold brew and a plate of delicious German food. A Day Trip to Philadelphia from NYC! A special thanks to Visit Philly for inviting me on a tour of Philadelphia! They did not pay me for any of this! 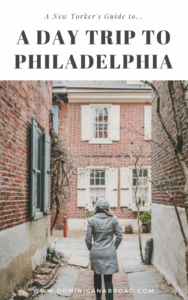 This is such an informative post for anyone visiting Philadelphia for the first time whether as a day tripper from NYC or as traveler visiting for a longer stay. You packed a lot into one day! I still haven’t been to Philly, but I’d love to visit someday. Maybe I’ll even do it as a day trip when I’m in NYC someday! Sorty you are being mislead. There are taxes in Philadelphia 8 0/0 on most items and, the extortion tax or sugar tax on any drink containing sugar or a sugar substitute. 0.015 per ounce or 1.5 cents per ounce. So a 16 ounce cost a dollar now cost you 1.24 then add the city tax of 8 0/0 tax. Come visit and, enjoy your visit just watch the taxes.